TRAVEL.org - Spain. Find hotels and resorts in Spain. Search out country information, tours and activities. Spain Travel Guide - Why Go to Spain? - One stop Travel Guide to all kinds of information about Spain. Hiszpaniawczasy.com - Polish country guide to Spain (in Polish). Spain: Maps, tourism, lodging, and more - in spanish. Au Pairs - Find an au pair from Spain through InterExchange's Au Pair USA. Activities in Spain...via Great Outdoors Resource pages. Pink Rose Holidays in Spain - Specializing in flight and hotel deals to Spain. Cheap holidays to Spain guaranteed. Book Your Golf.net - Offers golf packages and tee times for Spain, Portugal, Thailand, Turkey, Mauritius, Dubai, and more. Travel Punk! - Offers students, backpackers, budget and independent travelers, tips, handy tools, free email, hostel and eurail info for traveling in Spain. Help, links, and message boards. H10 Hotels - Promo Codes - Valid H10 Hotels discount codes 2017. 100% free! Mijas Guide - Guide for the municipality of Mijas in Spain. Weather, maps, what to see, what to do, and where to stay. Gran Canaria Airport Transfers - Gran Canaria Private Transfers. Taxi service from Gran Canaria Airport to any resort. Rental cars in Ibiza - Travel guide and information for visitors to the Spanish Island of Ibiza who plan to make use of a hire car during their stay. Majorca - The official tourism portal of the Balearic Islands. Information on Mallorca, maps, beaches, accommodation, calendar of events. Mallorca Airport Transfers - Mallorca Private Transfers. Taxi service from Mallorca Airport to any resort. Visit Tenerife - the Island of Eternal Spring. Abama Golf & Spa Resort Tenerife - Discover an unforgettable Canary Islands luxury hotel. With breathtaking views and spacious Canary Islands hotel rooms and suites, the Abama Golf & Spa Resort offers guests an exceptional retreat designed to delight and inspire. Book Taxi Tenerife - Tenerife taxi reservation. Quality, fast and affordable taxi service in Tenerife, without waiting in line, all-inclusive fixed fare, online booking, safe payment and no surprises. Letsgo2 Barcelona - Combine a flight and hotel to create holidays and short breaks to Barcelona from the UK. ATOL bonded for your financial protection. City of Barcelona - Tourism site prepared by the Barcelona City Council. Barcelona Hotels Direct - Hotels In Barcelona City Centre from Hotel Direct. Shortstay Barcelona Apartments - Short Stay and short term Barcelona Apartments, vacation and holiday rentals. Cheap Apartments in Barcelona - Find and book discount apartments in Barcelona. Barcelona Apartments - Find and book online Barcelona apartments. Holiday Apartments Barcelona - Holiday apartments and vacation rentals in Barcelona. Rent in Barcelona - Apartment rentals and vacation apartments - Vacation rentals with traveler reviews and maps. Stay In Barcelona - is an alternative to hotels in Barcelona, and offers furnished, self-catering apartments in Barcelona: from luxury accommodations to cheap apartments by the Ramblas. Barcelona Hotels - Online bookings for hotels in Barcelona city center. Barcelona Airport Transfers by Book Taxi Barcelona - We provide a quality service by online reservation, priority collection, and flat rate, so you do not have to worry at all. Madrid Airport Transfers - Reliable Transfers from Madrid Airport to City Centre. World Guide to Sevilla Spain - the capital of Andalucia. Taxi Sevilla - Reliable Taxi Service in Sevilla. Taxi Valencia - Reliable Taxi Service in Valencia. Marriott's Marbella Beach Resort - Discover luxurious apartments in Marbella, Spain at Marriott's Marbella Beach Resort. In the heart of Costa del Sol, our apartments in Marbella are bordered by golden beaches, distinctive architecture & awe-inspiring sites. TripAdvisor.com - Check Traveler Reviews on Hotels and lodging in Spain before you book. The Hotel Arts, Barcelona - Discover Barcelona hotel rooms featuring exceptional luxury and exclusive amenities. With spacious guestrooms, sophisticated apartments and stylish Barcelona suites, the Hotel Arts, Barcelona offers an unforgettable retreat. Lido Benidorm - Apartment Rentals on Levante beach at Benidorm. Shortstay Madrid Apartments - Short Stay and short term Madrid Apartments, vacation and holiday rentals. Marriott�s Club Son Antem - Off the eastern coast of Spain, Marriott's Club Son Antem is the ultimate representation of classic Mediterranean charm. A stay in the luxury two- and three-bedroom townhouses offers access to the Mallorca Marriott Son Antem Golf Resort & Spa. Marriott�s Playa Andaluza - Marriott's Playa Andaluza is a beachfront resort on the Costa del Sol near the "Millionaire's Paradise" of Puerto Banus. Enjoy two- or three-bedroom apartments featuring a master suite, oversized soaking tub, full kitchen, separate living and dining areas. Villa Holidays - provides extensive guides and information for holidaymakers looking to book holiday villas in Spain. Las Anclas Ibiza Real Estate - Offering a wide range of luxury properties for sale in Ibiza including villas, apartments and country homes. Marriott's Marbella Beach Resort - Located in Costa del Sol, Marriott's Marbella Beach Resort reflects the traditions and enduring romance of southern Spain. One-, two- and three-bedroom apartments offer a master suite with oversized soaking tub, balcony and spacious living and dining area. Alanda Club Marbella - A 4 star resort in Marbella offering luxury self catering apartments. The resort includes indoor and outdoor pools, gym, bars and restaurants and is suitable for couples, families and golfers. Marriott's Club Son Antem Villas in Majorca - Luxury resort offering two- and three-bedroom, three bath villas in Majorca, Spain, along with swimming pools, golf, spa, fitness center and on-site dining. Site includes a photo tour, hotel information, deals and discounts and reservations. Luxique Boutique Hotels - Barcelona Hotels - Book award winning Barcelona luxury hotels, chic Barcelona boutique hotels, and Barcelona design hotels best rates guaranteed. Holiday apartments and villas in Murcia Polaris World. - Specialists in golf vacations. James Villas - Luxury villas with pools, in some of the most popular holiday destinations throughout Spain. Madrid Hotels - From cheap to luxury hotels in Madrid. N.CH Kosher Hotel - Only Kosher Hotel in Spain in the heart of the Costa del Sol. VacationRentals.com - Find lovely, furnished private homes, villas, and condos of all sizes throughout Spain. 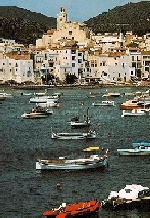 Scenic Rentals.com - Find Beautiful Vacation Homes & Condos in Spain. Discounted Barcelona Hotels and Accommodations - Discounted rates on Hotel rooms, Car Rentals, Flights, Vacation Rentals. Discountedhotels.com, your complete travel resource. Discounted Madrid Hotels and Accommodations - Discounted rates on Hotel rooms, Car Rentals, Flights, Vacation Rentals. Discountedhotels.com, your complete travel resource. Airports.es - The airport authority for Spain. Malaga Airport Transfers - Transfers from Malaga Airport to locations in Andalucia including Marbella, Puerto Banus and Nerja. Car Hire Spain - Cheapest Car Hire deals in Spain. Barcelona Airport Transfers - offers high quality on Barcelona airport transfers Services, door to door transfers from Barcelona airport to your destination. Malaga Flights at EasyJet.com - Book cheap flights to Malaga, Spain with Easyjet, the leading low cost airline. Air Malaga - Malaga airport information, airport transfers, car rental services and live flights arrivals and departures. Malaga airport transfers - Private and cheap Malaga airport transfers. Private taxis with bilingual chauffers for your transportation in Malaga. RhinoCarHire.com - Rental Cars - Get the lates deals and offer for Car Hire in Spain. Malaga bus transfers and tours - Malaga airport bus transfers, tours from Malaga and useful information. Malaga Airport Car Hire (Spain) - Find a rental car in Malaga. Car Hire Spain - Get cheap car rentals quickly and securely online with Firstcarhire. Car Hire Spain - Online car rental website with airport service at 30+ spanish airports.